Hurling is an outdoor team sport of Gaelic origin which is very well-know in Ireland. This sport of prehistoric origin (3,000 years) is administered by the Gaelic Athletic Association (GAA) and is known as the world’s fastest field team sport. 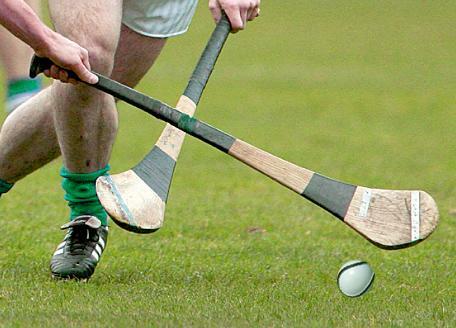 In order to play it, players have to use a hurley (stick) and a sliotar (ball). Since 2010 the wearing of helmets is obligatory. Hurling has a number of features in common with Gaelic football such as the fields and the goals, the number of players or the terminology. There also exists a similar game for women, which is called “camogie”. A hurling match lasts 60 minutes (30 minutes per half) and 15 hurlers are needed in each team. Every player uses a hurley in order to hit the sliotar between the opponents’ goalposts but the goalkeeper uses a different one: its bas (curved end) is twice the size of the other players’ hurleys. In order to score, the players have to hit the ball over the crossbar (with which they win 1 point) or under the crossbar into a net guarded by the goalkeeper (they win 1 goal which is equivalent to 3 points). The pitch on which the match takes place is 135-147m long and 80-90m wide. It is basically the same pitch as for Gaelic football. Hurling is also a technical sport. There exist 3 tackling techniques in order to take the sliotar to the opponents: the block, the hook and the side pull. The block is when one player attempts to smother an opposing player's strike by trapping the ball between his hurley and the opponent's swinging hurl. As for the hook, a player approaches another player from a rear angle and attempts to catch the opponent's hurley with his own at the top of the swing. We can speak of side pull when two players running together for the sliotar will collide at the shoulders and swing together to win the tackle and "pull" (name given to swing the hurley) with extreme force. A hurling match is watched over by 8 officials: the referee, two linesmen, 4 umpires and a sideline official or standby linesman. The two linesmen indicate the direction of the line balls to the referee and confer with him. The role of the 4 umpires (2 at each end) is to judge the scoring: they wave a white flag when 1 point is scored and a green flag when 1goal (or 3 points) are scored. As for the sideline official, he oversees substitutions, indicates the amount of extra time and the players substituted using an electronic board.